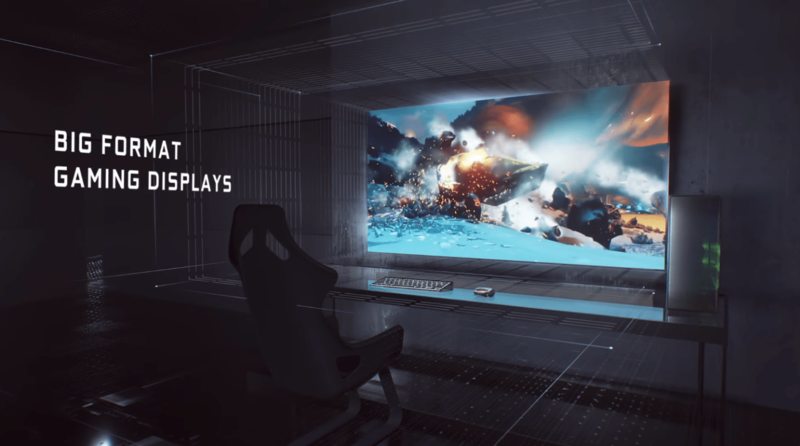 NVidia BFGD monitor redefines gaming glory. Nvidia announced G-Sync technology based BFGD (Big Format Gaming Displays) Television at CES 2018. Nvidia shield tv comes up with 65 inches 4k HDR resolution. Nvidia Shield Android tv is considered as best gaming monitor to play games and movies.